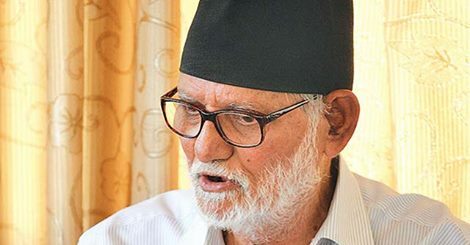 Aug 25, 2015- Despite widespread criticism from different quarters, Prime Minister Sushil Koirala has Newly appointed the vice chancellors (VC) in five universities, including plagiarism accused Tirtha Khaniya as the new VC of Tribhuvan University. Kul Prasad Koirala has been appointed the VC of Nepal Sanskrit University, Ghanshyam Lal Das of Purbanchal University and Bhusan Shrestha of Far-Western University. Shrestha is the country’s first woman VC. The appointment was made on the recommendation of a committee chaired by Education Minister Chitra Lekha Yadav. All four VC appointees are close to Nepali Congress-affiliated Nepal Democratic Professors’ Union. PM Koirala also appointed Ishwari Prasad Dhakal as the VC of Agriculture and Forestry University as per the recommendation of the committee led by Yagya Bahadur Karki, member of National Planning Commission. Dhakal is close to UCPN (Maoist)-affiliated Nepal Professors’ Association. The recommendation committees have failed to recommend the VCs for Pokhara University and Mid-Western University following the differences over the nominees within CPN-UML. The two VC seats have been allocated to the UML. that the NC unilaterally made the appointment without consulting with its coalition partner, UML. Khaniya’s appointment has also been decried by other groups over plagarism scandal. While he headed the English Education Department of TU in 2006, Khaniya had lifted a section of an article written by Ferit Kilickaya, associate professor at Middle East Technical University and Mehmet Akif Ersoy University, Turkey. Khaniya had copied a large section of the article in his own work titled “Use of authentic materials in EFL classrooms” published in a journal of the Nepal English Language Teachers’ Association (NELTA). against him. However, an email conversation between NELTA and Kilickaya obtained by the Post shows that the former had apologised for Khaniya’s academic dishonesty. Kilickaya has said that the issue has not settled yet. “I could not sue him because I was not aware about the legal system in Nepal,” he told the Post in an email conversation.